Although never chronicled in The Middle Horn Leader, members of the Star of Indiana mellophone section embarked on one of the more bizarre odysseys to collect and archive artifacts from their seasons. 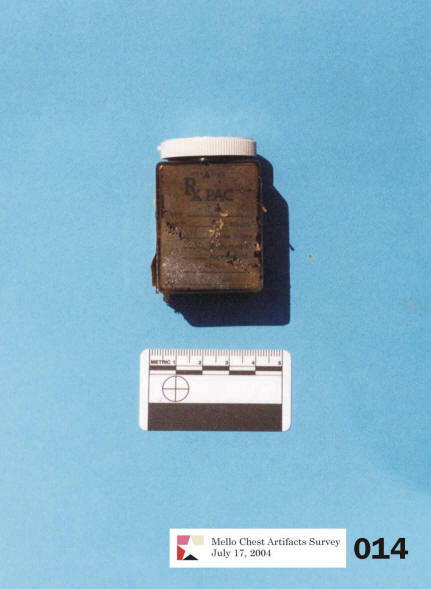 Many details of the super-secret order of mellophonists who participated in primal rituals associated with the Mello Chest will forever remain unpublished. However, select artifacts and the stories that make them significant to the section are being released here to the general public for the very first time. 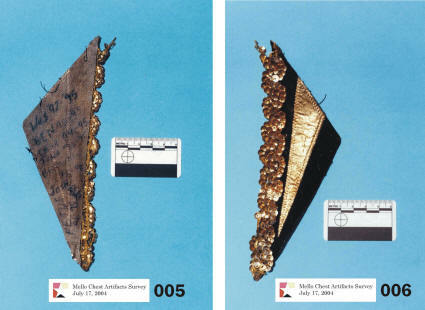 Please visit this site in the future to see updates and added information about artifacts. 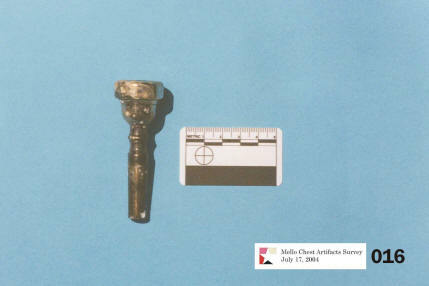 If you are a veteran of the section and have an story regarding a specific artifact, please email it to this site. 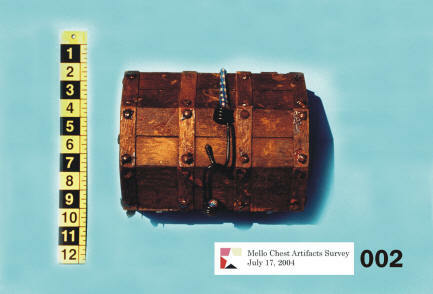 The Mello Chest was fabricated by Richard Hutchinson of Paducah, Kentucky. 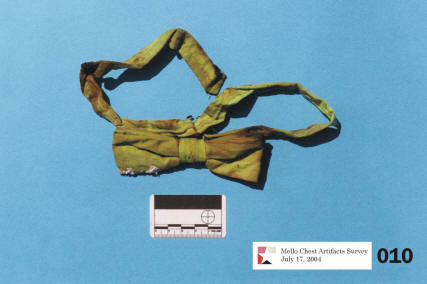 At the time the chest was created (mid-1970s), Richard was a retired U.S. Navy veteran. He gave the chest to a young neighbor, Scooter Pirtle who kept the chest in his room. 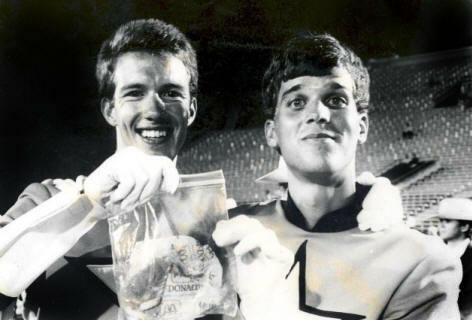 Scooter incorporated the Mello Chest into secret pre-performance rituals performed by the 1987 Star of Indiana Drum and Bugle Corps mellophone section. 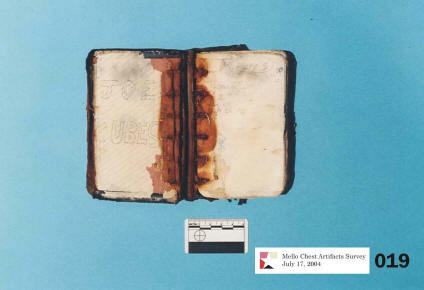 Although lost to history, the first artifact stored in the Mello Chest was a paperback copy of David Henderson's Jimi Hendrix biography 'Scuse Me While I Kiss The Sky. 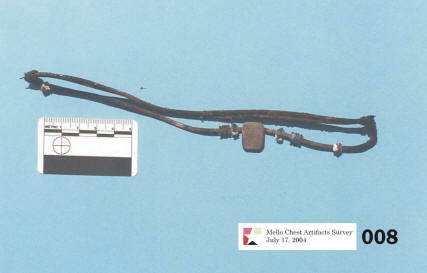 The Mello Chest was used to archive personal mementos of section members during the 1987 season. It was first carried onto the field at DCI Finals Retreat in Madison, Wisconsin in August 1987. 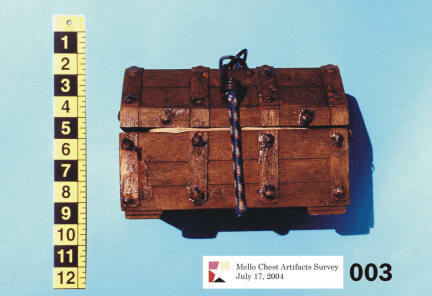 The Mello Chest remained with the section until 1995, when section members participating in Brass Theater buried the chest in a secret location at the Thomas L. Brown Elementary School in Bloomington, Indiana. 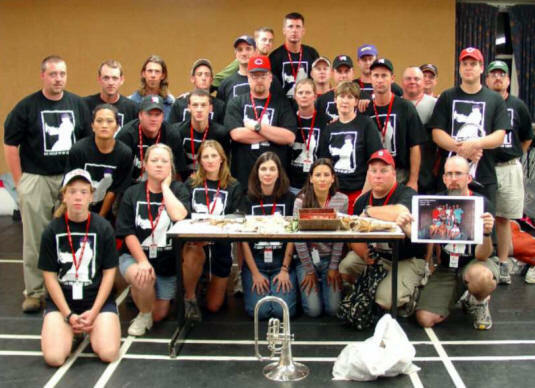 The Mello Chest was disinterred during the Memorial Day weekend Alumni gathering in 2004 and opened by members of the mellophone section. 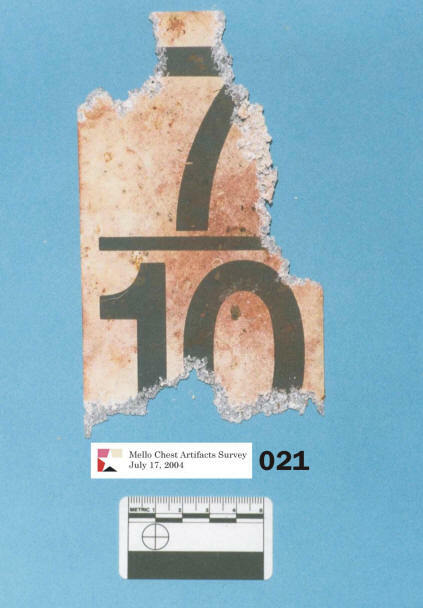 The most famous resident of the Mello Chest was a McDonalds cheeseburger submitted by Mike Chromik. The cheeseburger, sans mustard, was originally purchased by Mike prior to a February 1987 rehearsal camp. Realizing he wouldn't be able to consume the final cheeseburger as he entered the Thomas L. Brown parking lot in his VW Beetle, Mike secured the cheeseburger in the car's overhead visor. 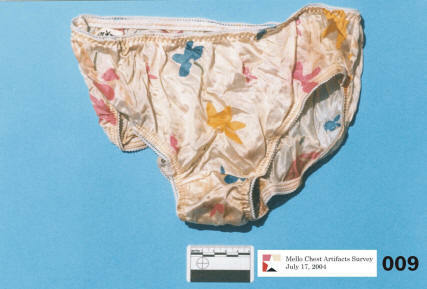 It wouldn't be found again until the sun visor was lowered by Mike as he returned to the Star Base later that spring. From that day forward, the cheeseburger would remain a part of of the Mello Chest. 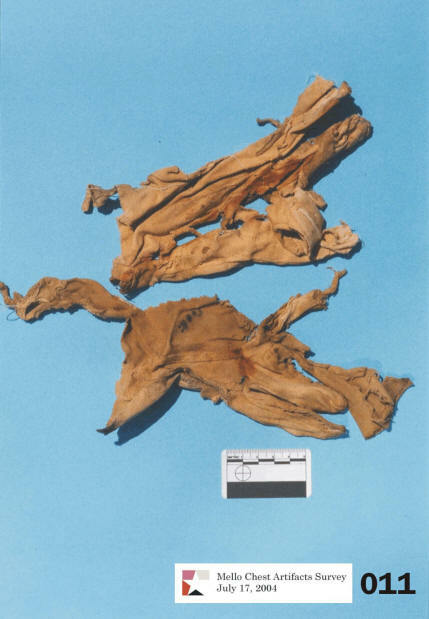 Today, the ravages of time and various bacterium have sadly converted the cheeseburger from a happy-go-lucky petrified food item into a leathery, blackened substance similar to an evil fruit roll-up. (see below). 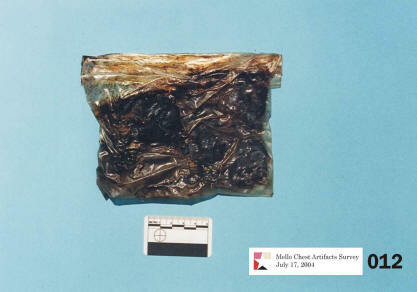 The sacred cheeseburger following the 2004 exhumation. 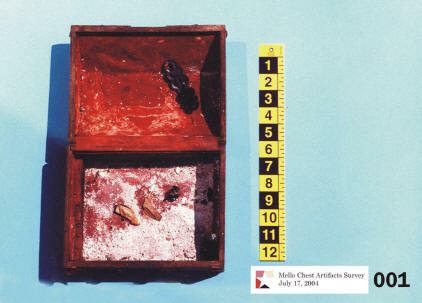 Inside the Mello Chest following the removal of contents. 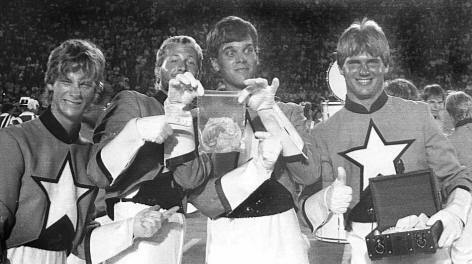 Shako emblem from '93 season with section members listed (left). 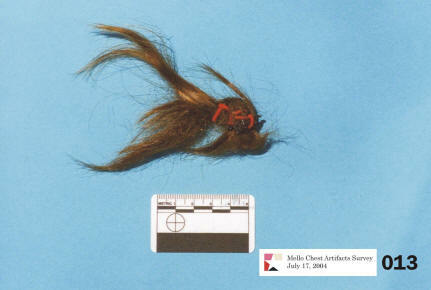 Hair donation from the time when Mullets ruled the earth. Prescription bottle containing "magic sand" circa 1988. 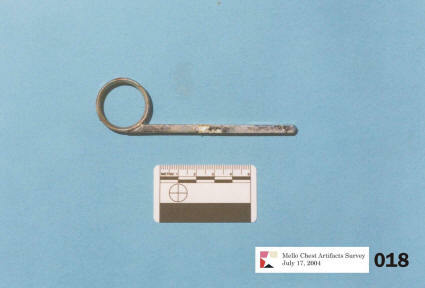 Pinky ring from an unidentified instrument type. 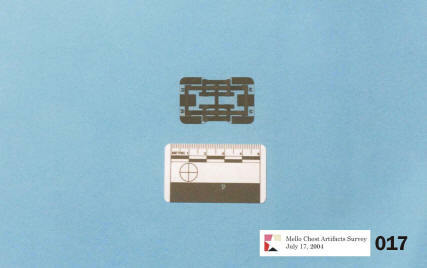 Joe Kubesch's "dot book" circa 1988. "Dead Mello Society" meeting, Finals week, August 1993. Ed Cooning IV (center) holds the sacred Mello Chest. A modest collection of mid-voice talent assemble to open the chest following its exhumation. The ceremony took place in May 2004 in the Large Ensemble Room at the Thomas L. Brown Elementary School in Bloomington, Indiana. Note Brent Unger (lower right) holding a photo of the '93 "Dead Mello Society." Also note the King K-50 two-valve bugle; the last remaining corps maintained bugle from the original fleet purchased by the corps in the fall of 1984.